Blockchain has the ability to impact and disrupt multiple business sectors; and as hacking, phishing and security threats are becoming more prominent, companies are turning to groundbreaking technologies to protect not only their information, but their clients. Hype surrounding any subject can be either positive, or negative; and at this point in the tech sphere nothing exemplifies this idea more than blockchain. On a positive note, the hype surrounding the decentralized technology is for the most part positive and exciting, being as the tech is considered revolutionary and applicable to virtually all genres of business, from traveling to gambling. However, the hype surrounding blockchain is simultaneously heading towards some disappointment since it is building such a hugely unrealistic expectation as a wonder-kin and a universal fix to some of tech’s biggest problems. Can blockchain really revolutionize every type of business? No. And yet, can blockchain have a huge impact and disrupt certain aspects across different business sectors? Absolutely. One such area that has the possibility to truly be transformed, in part thanks to blockchain, is in the way that information security between and within companies is handled. Especially in today’s business world when hacking and the sharing of secure information is such a prevalent threat, companies are looking for ways to protect their own information as well as their client’s information. There are three ways in which blockchain has the opportunity to impact the storing and securing of information in companies throughout the world. When secure information is in one central location, it is easier for hackers to, well, hack. Think of it is as similar to keeping valuables in your house. It would be unwise to keep all of your valuables in one location, because if you were to be robbed, the thieves would only need to go to one that one room to get everything they needed, and not through your entire home. Same goes with information that a company needs to keep secure. Having information stored in one location gives hackers easy access to all of the information you wish to keep private, while distributing information creates a bigger hurdle to hacking. For Dan Shani, the CTO of WatermelonBlock, it is the complete essence of blockchain that is keeping company information more secure. As an Australian company that produces sentiment analysis and focuses on information sharing, Shani claims that it is because of the distributed ledger that information is more secure. From the company’s experience, when sharing secure information, with a decentralized format, the blockchain provides no central entry point for hackers or attacks and therefore ensures an impenetrable level of security that guards the ledgers information. So, unlike conventional storage on centralized databases, a blockchain ledger is distributed transparently to be viewed and stored by all relevant parties involved. The transparency that can be viewed and stored by all parties within the blockchain also serves another important purpose, and that is in the area of documentation. Even at a young age in math class we learn that it is best to “show work,” so that we can always check back through all stages to make sure that no mistakes were made. A similar concept should also be taken with securing information. The decentralization aspect of blockchain technology makes information more secure since nothing can be deleted or changed. Dr. Omri Ross, the CEO of Firmo, believes that because companies can have access to all of the data and have the ability to track through all transactions, the blockchain can make private information more secure. 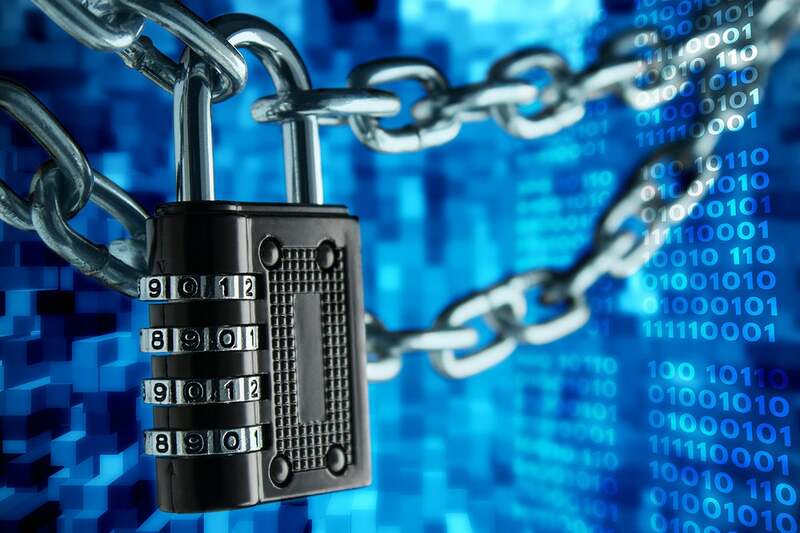 Additionally, there are certain businesses that will find the blockchain as a more reliable source for their security information. He goes on to say that auditors, law firms, journalists and public and legal institutions can especially be transformed by blockchain technology because they can ensure that the data on which they rely on is not being tampered with. While being able to track all information at all times is a good step in securing information, for Aleksei Antonov, Co-Founder of SONM, a fog computing platform with a global and decentralized marketplace, the biggest impact that blockchain technology has on information security in companies is its ability to regulate the permissions to access the information. With blockchain technology, companies can securely limit the amount and type of data that employees can access, reducing the risk of leakage or unauthorized access. What is most important is that the “change” history will be also tracked in an immutable way to reduce fraud attempts. In the end, however, even Antonov himself notes that obviously the blockchain is not a magic pill and due to the developing stage of technology itself, we are only at the beginning. It takes time for things of this magnitude, that soared so quickly to worldwide popularity, to truly work out all of its kinks. Mistakes are bound to be made here and there, that hopefully, over time, will lessen. So while it seems that the hype around the blockchain having the ability to transform information security is on the right track, it might still be premature. Philip Kushmaro is a Digital Marketing Ambassador and Founder of PKDMA Inc.. Being brought up in a house with a Commodore 64 guru grandpa and a father that can't stand anything with a keyboard, evolved Philip Kushmaro into a computer/internet expert that is patient with others that just don't have the tech bug in them.